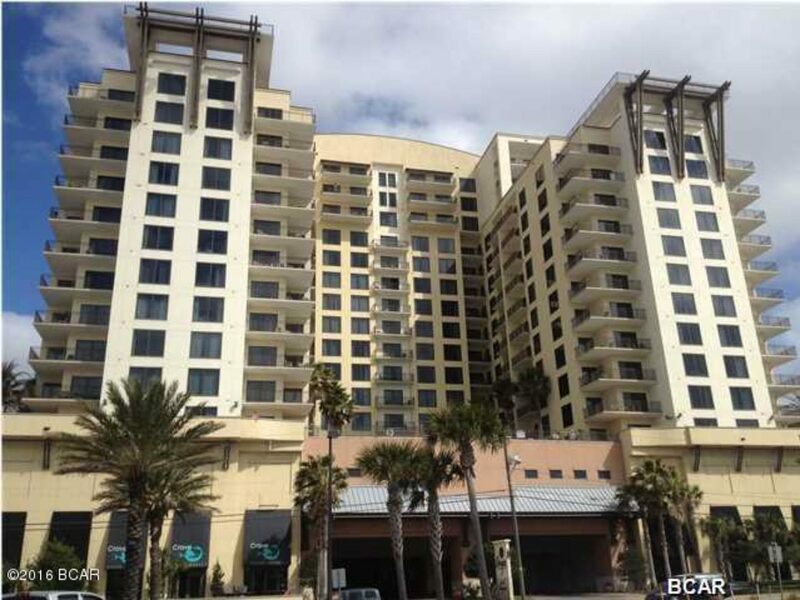 Beautiful remodeled unit with ceramic tile floors through out and flat screen tv.Furnished Studio unit located in the popular Origins At Seahaven, just across the street from the gulf and Sharkey’s. You are close to Pier Park with shopping and Restaurants as well as Gulf World. The complex offers Motor Court entrance with covered parking, Nice Lobby area and corridors, on site Market, Grand Terrace with zero entry pool as well as hot tub located on the 4th floor overlooking the Gulf. Movie Theatre and Game room.